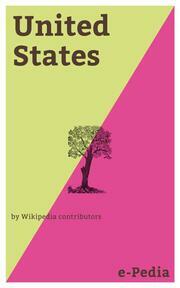 This carefully crafted ebook is formatted for your eReader with a functional and detailed table of contents.The United States of America (USA), commonly referred to as the United States (U.S.) or America, is a constitutional federal republic composed of 50 states, a federal district, five major self-governing territories, and various possessions. Forty-eight of the fifty states and the federal district are contiguous and located in North America between Canada and Mexico. The state of Alaska is in the northwest corner of North America, bordered by Canada to the east and across the Bering Strait from Russia to the west. The state of Hawaii is an archipelago in the mid-Pacific Ocean. The U.S. territories are scattered about the Pacific Ocean and the Caribbean Sea. Nine time zones are covered. 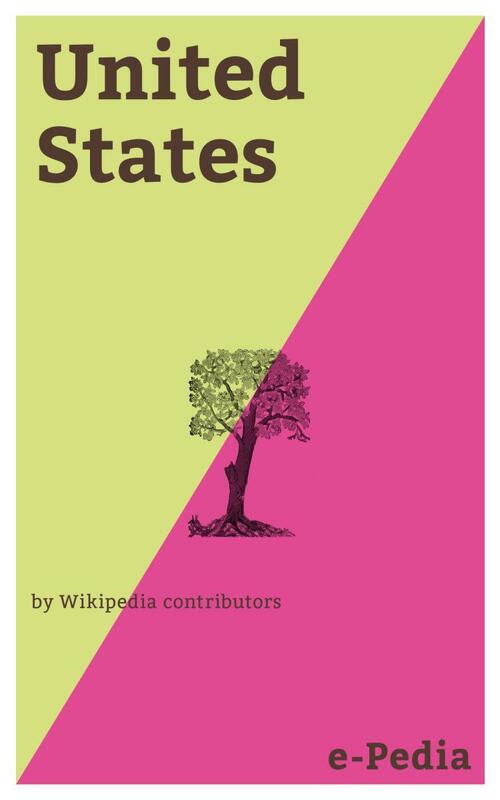 The geography, climate and wildlife of the country are extremely diverse.This book has been derived from Wikipedia: it contains the entire text of the title Wikipedia article + the entire text of all the 1732 related (linked) Wikipedia articles to the title article. This book does not contain illustrations.e-Pedia (an imprint of e-artnow) charges for the convenience service of formatting these e-books for your eReader. We donate a part of our net income after taxes to the Wikimedia Foundation from the sales of all books based on Wikipedia content. Wikipedia contributors, also known as Wikipedians or editors are the volunteers who write and edit Wikipedia's articles, unlike readers who simply read them. Wikipedians do a wide variety of tasks, from creating new articles, fixing typos and removing vandalism to resolving disputes and perfecting content, but unite in a desire to make human knowledge available to every person on the planet.